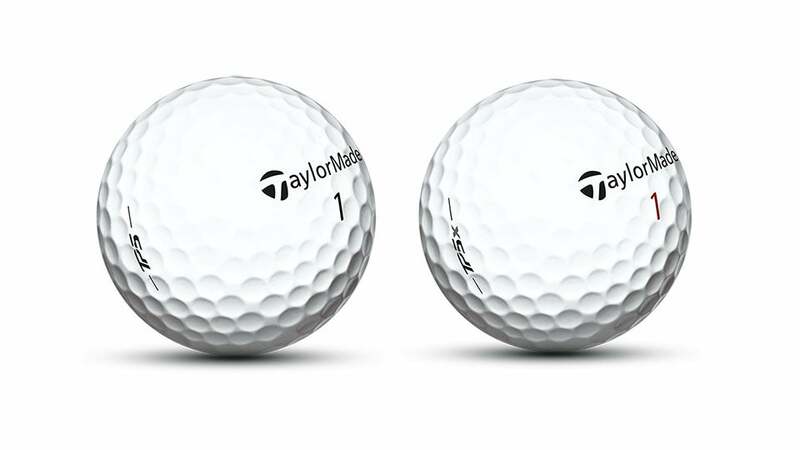 If you liked the previous line of TaylorMade Tour Preferred balls, you should love the new TP5 and TP5x (both $44.99/dozen). The goal of the new line, which was in development for about 10 years, was to design two balls that would deliver complete performance without compromising either distance or spin, making them the ultimate Tour performance models. The key to achieving this mission is a five-layer, progressive design with varying materials and compressions in each layer. The first three layers of both models consist of a "Tri-Fast Core," which is extremely low compression (16 in TP5, 25 in TP5x), as well as a progressively stiffer compression outer core (24 in TP5, 35 in TP5x) and even stiffer mantle layer (44 in TP5, 55 in TP5x). The result is improved transfer of energy at impact and increased distance on shots struck with all full-swing clubs. At the same time a soft, cast urethane outer cover and firm inner cover (the final two layers) combine to provide elite-level short game spin and control by pushing the soft outer cover into wedge grooves at impact. If you're wondering which model is best suited to your game, the great news is that both are designed to provide complete tee-to-green performance without compromising distance or short-game spin. But the TP5 does provide a softer feel (83 total compression) and slightly lower launch angles, while the TP5x feels a bit firmer (90 total compression) and launches higher. Both the TP5 and TP5x will be available at retail on March 1.